Some local analysts believe that the Jundullah splinter groups may have drifted toward ISIS. They cite three reasons: The groups do not have a nucleus; their agenda is sectarian; and they are fighting a Shia state. Iranian authorities have implicitly held Pakistan responsible for providing shelter to Jundullah militants, a charge Pakistan has vehemently denied. One government official refuted the allegations, pointing out that last year Pakistan also extradited Abdul-Hamid Rigi, younger brother of Abdul-Malik, to Iran. He added that another leader of the group, Abdul-Salam Rigi, was arrested by security forces on the outskirts of Quetta. A local resident of Awaran district of Balochistan, who requested anonymity, told The Diplomat that in August 2014 threatening messages began to be inscribed on local walls. He added that the messages were signed by the Lashker-e-Khorasan, which had told local Zikris and Hindus that they needed to convert to Sunni Islam or die. Following the threatening messages, on August 28, six Zikris were shot dead by unknown armed assailants in their place of worship, called Zikrkhana. Another source meanwhile said noted the Lashker-e-Khorasan is an offshoot of ISIS, and walls in Turbat were also painted in favor of the ISIS in Turbat. A wall on Inscomb Road of Quetta, very near the chief minister’s house, was painted with the ISIS slogan. Quetta police chief Razaq Cheema told The Diplomat that the graffiti was the work of impressionable youth. He insisted that the slogan was not painted by ISIS. When asked about the presence of the Islamic State in Quetta, Cheema denied that the group had a presence, but said that if one was found, the police were strong enough to take action. Cheema also pointed out that militancy in Balochistan is homegrown, and there is no chance of ISIS coming to Balochistan via Afghanistan. The police officer went on to explain that law enforcement agencies had successfully reduced sectarian violence in Quetta by eliminating the top leadership of the Lashkar-e-Jhangvi (LeJ) in the city, with Osman Saifullah Kurd, Mubashir Ahmed Kurd and Mehmood Rind all killed. Qadir added that the ISIS presence in Balochistan was a reality, one made possible by the presence of sympathizers in the form of religious fanatics. And some Baloch militant organizations, he said, like the Baloch Musalla Difa Tanzeem (BMDT) and the Balochistan Mutahida Mahaz (BMM), have transmogrified into the Lashkar-e-Khorasan, which has been linked with ISIS. Abdul Malik Baloch, Balochistan’s chief minister, told reporters that he could not rule out the presence of ISIS militants in Balochistan. Zulfiqar explained, “If Daesh materializes in Balochistan, it is my opinion, it may be the SSP, the Ahl-e-Sunnat Wai Jamat (ASWJ), the hardliners of the Jamiat Ulema-e-Islam-Nazriati (JUI-N) and Jamiat UIema-e-Islam-Fazal (JUI-F), or the TTP, who are pro-jihadis.” However, the state has now zero-tolerance for such elements, he said, pointing to three factors. 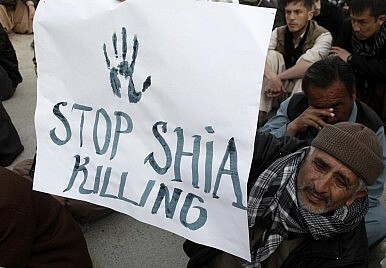 First, Malik Ishaq, co-founder of Lashkar-e-Jhangvi (LeJ), was killed in a police encounter along with his associates. Second, the killing of Punjab Home Minister Shuja Khanzada, a retired military colonel, in a suicide attack believed to be in retaliation for the death of Ishaq, was widely condemned by the government. And third, following the Zarb-e-Azb operation, elements of the TTP have reportedly moved to northern parts of Balochistan, where they have been arrested in raids ever since the announcement of the National Action Plan (NAP). High-ranking commanders of the TTP and Jundullah (meaning the offshoot of the TTP, and not the group founded by Abdul-Malik Rigi) have already sworn allegiance to ISIS. In the wake of the major military offensive, Zarb-i-Azb, in North Waziristan and Federally Administered Tribal Areas, there have been reports of hundreds of TTP fighters laying low in the northern parts of Balochistan. Paramilitary forces, with the help of law enforcement agencies, have started to crack down on the TTP in this area, as well as in other parts of the country, particularly following the deadly Taliban assault on Peshawar’s Army Public School on December 16, 2014, which killed 150 people, including more than 130 schoolchildren. According to media reports, security forces have arrested suspected Taliban militants and key commanders in different raids in northern Balochistan. Moreover, security forces claim to have killed the al-Qaeda chief of Balochistan and South Punjab, Omar Abdul Latif (alias Luqman), in Balochistan’s Chaghi district, situated on the border with Afghanistan border. As part of the National Action Plan, Sarfraz Bugti, the provincial home minister of Balochistan, noted recently that 4,069 suspects have been arrested in Balochistan. A senator from Islamabad who did not wish to be named told The Diplomat that Balochistan, particularly central Balochistan, has been enveloped in a wave of religious extremism. During the Afghan war, he said, money was pumped into the region, shaking up a society that was not at that point known for its religious extremism. The war brought sectarianism and Wahhabism. Through religious groups operating in the province, he warned, ISIS will develop a foothold in Balochistan. Some analysts say that ISIS could make inroads into Balochistan via Afghanistan, where the group is also already present. Shahzada Zulfiqar disagrees. He argues that ISIS does not have a strong base in Afghanistan – perhaps a few hundred fighters in the form of hardline Taliban who have now joined ISIS. These men are already fighting on two fronts – against the Taliban and the Afghan government – and as such are not placed to make inroads into Balochistan. A spokesman for the militant group Jundullah has claimed in recent months that a delegation from ISIS visited the organization’s leaders in Balochistan. The spokesman, Fahad Marwat was also reported to have said the purpose of the visit by ISIS was to see how it could work to unite various Pakistani militant groups. Government officials flatly refute these claims. Nonetheless, Balochistan increasingly appears to be a new front in the fight against terrorism. Muhammad Akbar Notezai is a columnist at the Daily Times. Visit his blog or follow him on Twitter @Akbar_notezai. He can be reached at [email protected].